$7099$70 and 99 cents$16.90 / oz. 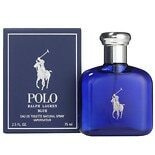 If you need a casual or formal scent to wear to all your life's events, consider fragrances from the Ralph Lauren Polo cologne line. With more than three types of cologne in this collection, you'll be sure to find a fragrance that suits your personality and daily needs. 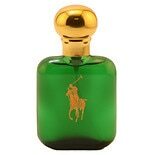 The aromatic blend of a Ralph Lauren Polo cologne ranges from bold, handsome scents to light, refreshing fragrances that are sure to make you smell wonderful and enticing. The Polo Blue fragrance incorporates earthy, everyday scents like wood and leather to invoke the sense of an active lifestyle. It's the perfect complement to a fun day outdoors. The Polo Explorer fragrance is another rugged scent that suits the active individual. With notes of amber, sandalwood, mahogany, and mandarin, this cologne captures the complex scents of nature in a versatile medium that's suitable for everyday use. The Ralph Lauren Polo cologne line also includes Polo Black, a sophisticated and modern fragrance that relies on strong scents like iced mango and silver armoise to enhance the natural appeal of the individual. If you're looking for a special gift for family and friends, consider the beautiful packing and unique design of a bottle of cologne. Polo fragrances come in distinctive bottles with a spray mechanism, so the wearer can enjoy a mess-free application. The bottles reflect the nature of the fragrance and are available in classic colors like green, black, and blue. The variety of scent combinations in the Ralph Lauren Polo cologne line means you'll be able to find the perfect match for your recipient.